A beautifully illustrated novel about a mouse, her friendship with Audubon's apprentice, and her search for home. 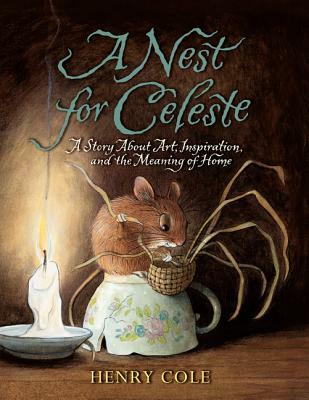 Beneath the crackled and faded painting of a horse, underneath the worn and dusty floorboards of the dining room, lives Celeste, a mouse who spends her days weaving baskets, until one day she is thrust into the world above. Here Celeste encounters danger--and love--unlike any she's ever imagined. She dodges a hungry cat and witnesses the brutality of hunting for the first time. She makes friends with a singing thrush named Cornelius, a talkative osprey named Lafayette, and Joseph, Audubon's young apprentice. All the while, Celeste is looking for a new home. Is her home in the toe of a worn boot? Nestled in Joseph's pocket? Or in the dollhouse in the attic, complete with mouse-size furniture perfect for Celeste? In the end, Celeste discovers that home is really the place deep inside her heart, where friendships live.